Former Florida Gov. 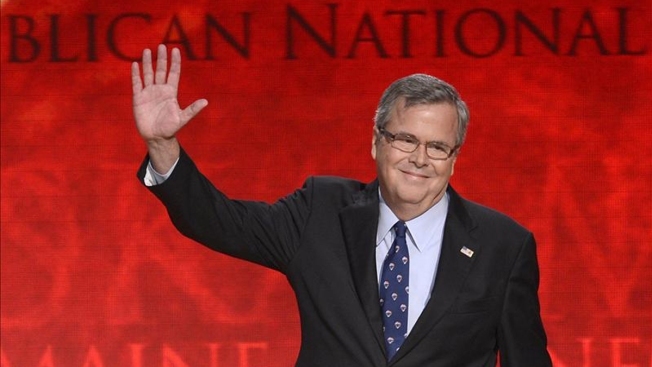 Jeb Bush, who's exploring a run for president, is headed to Greenwich, Connecticut, to raise money for his political action committee. Hearst Connecticut Media Group reports that Bush will raise money for his leadership PAC at a reception Wednesday. His grandfather, Prescott Bush, was a U.S. senator from Connecticut from 1952 to 1963. The private reception is being organized by Debbie Walker Stapleton, a Bush cousin, and Craig Stapleton, U.S. ambassador to the Czech Republic and France under former President George W. Bush. Bush has announced recently he's cutting ties with several corporate boards and ending advisory roles. In April 2014, Connecticut Republicans welcomed Bush as keynote speaker at the Prescott Bush Awards fundraising dinner in Stamford.